Handcrafted best cupcakes and cakes in London, England. 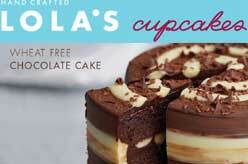 Lola’s Cupcake stores across London and the surrounding areas. 4-18 Neal Street, Covent Garden, WC2H 9LY, London. 400 Oxford Street, W1A 1AB, London. Sunday & Bank Holiday : closed. Waterloo Road, South Bank, SE1 7LT, London. Underground Station, W1J 9HP, London. 115 Buckingham Palace Road, SW1W 9SJ, London. Berkeley Square, W1J 8QF, London. Euston Road, N1 9AL, London. Southampton, Hampshire SO15 1QD, Southampton. and let them know what you need.